Makers And Monsters - Trying to find your purpose in life? There's only one thing keeping you from it: yourself. We create roadblocks that stem from the darkest issues from our past. And in return, our purpose flawed from the beginning. But just like a beautiful mosaic, your purpose is made made from the broken pieces of our lives. In the Makers & Monsters Devotional Plan , Josh White takes us on a journey of looking at the story of David, and how "the man after God's own heart" was also flawed, yet so close to Jesus. Trying to find your purpose in life? There's only one thing keeping you from it: yourself. We create roadblocks that stem from the darkest issues from our past. And in return, our purpose flawed from the beginning. But just like a beautiful mosaic, your purpose is made made from the broken pieces of our lives. 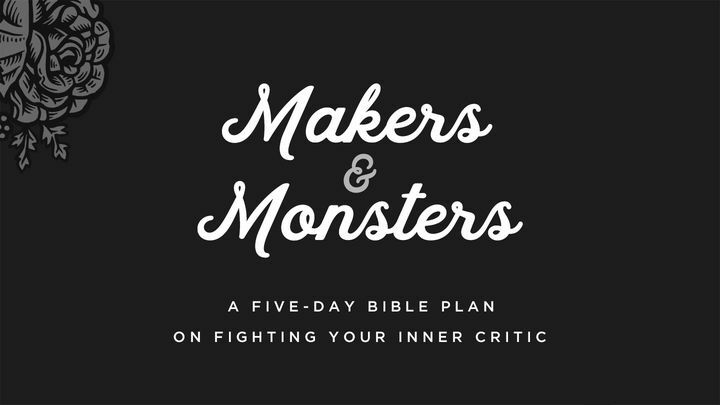 In the Makers & Monsters Devotional Plan , Josh White takes us on a journey of looking at the story of David, and how "the man after God's own heart" was also flawed, yet so close to Jesus.